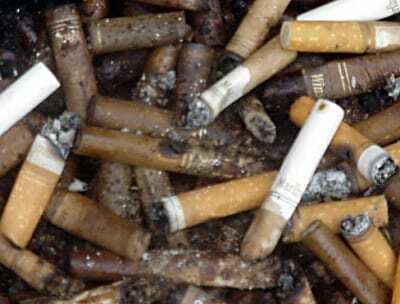 Research has found that cigarette butts could be used to store energy. In a recently published study in the journal Nanotechnology, Scientists from South Korea have found that they can develop a high-performing material from cigarette butts that can be utilized as a green energy storage solution for several devices, and can also benefit the environment by keeping it free of the toxic waste from discarded cigarette filters. Cigarette filters are toxic and non-biodegradable. Jongheop Yi, a professor at Seoul National University, and the study co-author, said that many countries are working on creating strict rules to prevent the trillions of used cigarette filters that are both toxic and non-biodegradable from being discarded into the environment every year. Yi explained that “Our study has shown that used cigarette filters can be transformed into a high performing carbon-based material using a simple one step process, which simultaneously offers a green solution for meeting the energy demands of society.” Yi pointed out that their method of using cigarette butts is one way of keeping the environment free of cigarette waste. The new carbon-based material could provide a green energy storage solution for many devices. The study noted that the new material could be integrated into several devices, including handheld devices, computers, electric vehicles, and even wind turbines to store energy, reported The Economic Times. Furthermore, in their study, the scientist discovered that the carbon-based material outperforms commercially available graphene, carbon, and carbon nanotubes. The researchers also believe that it could someday be utilized to coat supercapacitor electrodes, which is an electrochemical component that can store massive amounts of electrical energy. The researchers demonstrated in their study that the cellulose acetate fibers, which exist in the vast majority of cigarette filters, could be converted into a carbon-based material using pyrolysis; a simple one-step process that relies on a burning technique. The material that results contains many miniscule pores, which boosts its performance as a supercapacitive material. The discovery of this material could be a breakthrough in the green energy storage space, as scientists around the globe are trying to better the characteristics of supercapacitors while, at the same time, lower production costs.